The economic and the social contributions of all the working men, women and even the four-legged pals deserve to celebrate this Labor Day on the first Monday of September. We may not be aware, but there are many animals that contribute their work to our society and everyday lives. Whether it is about family pets, which are providing milk, helping with transportation or guarding our house, etc. Here are some of the examples of working animals with which you will agree, and celebrate the labor day with pets. 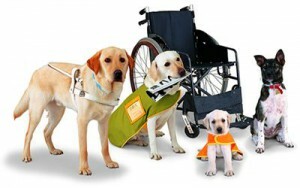 There are many dog breeds which are playing their part and helping the humans in need. Dogs are trained to work with our police. These dogs use their super smelling abilities to search and rescue work for searching a missing person, to detect traces of illegal substances or explosive such as drug or bomb etc. Nowadays, dogs are also helping to detect cancer cells in humans. Most dogs are showing their incredible amount of dedication to their jobs and they need to be honored for their contribution to our society. Cats are good companions for their owners. Yes, it is not a job. But, they help us in many things like lowering our blood pressure, lowering the risk of heart attacks, etc. How can we forget the love, warmth and happiness provided by them. It should be celebrated for their healing benefits for us and their unconditional love. I think now you agree with us, that even animals deserve to celebrate the labor day. 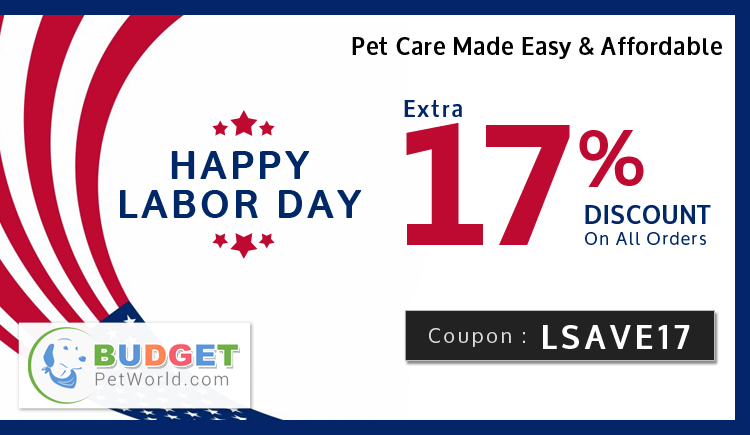 Here we, at Budget Pet World have come up with Labor Day Weekend Sale, where you will get flat 17% discount on all Pet Care Products. 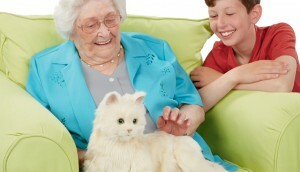 Budget Pet World is the leading online shopping destination, where you will get all the pet care supplies. Here, we have made all the branded pet care supplies affordable at big discounts for all our customers. You can spoil your pets by offering them treats, supplements etc. You can even buy the branded preventative treatments for fleas, ticks and de-wormers for your pet from Budget Pet World. Make this Labor Day special for you and your furry pal by grasping the 17% discount sale by using this Coupon Code – LSAVE17 on all orders. Hurry!! 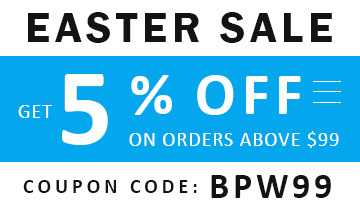 This Sale Is Only For A Weekend. Celebrate and Enjoy this Labor Day with your furry pals that deserve to be recognized for the wonderful jobs they do for each one of us.